Charlton House, built during the reign of James I, it is the finest and best preserved Jacobean Mansion in London. Nestling in acres of beautiful parkland, Charlton House has a long history of intrigue and romance.Their beautiful wedding halls and reception areas are rich in period detail (pictured) featuring original fireplaces, wood panelling and intricate strapwork ceilings.The lovingly restored walled gardens provide a peaceful retreat for your guests and a tranquil backdrop for your photographs, and the Peace Garden is the perfect place to celebrate with a glass of champagne on a summer’s afternoon. 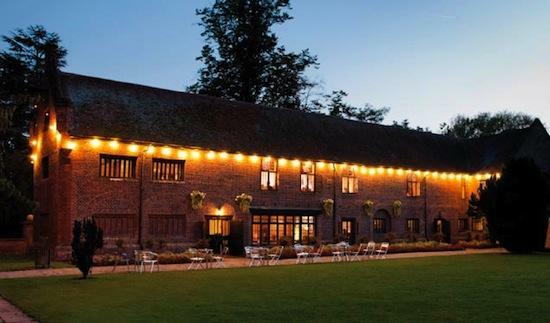 And like Tudor Barn they have a great events team who will be delighted to discuss your requirements and tailor a package to suit your needs. For further information or to book a viewing. Contact them on 020 8856 3951. For more info on either of these magnificent venues, go to their listings….